Are you looking for simple viewer software to open and edit Pascal files? 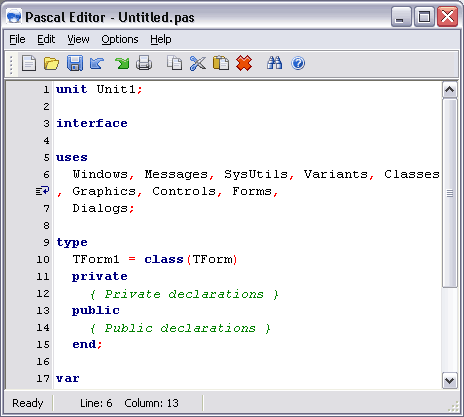 NCsoft Pascal editor is a free and small Pascal files viewer program. It supports opening of Pascal files with file extensions .pas, .pp, .dpr, .dpk and inc. You can make changes and save files by exporting to either of HTML, RTF, TEX format.